Elegant modern cooking, cocooned an intimate underground dining room, keeps Coure’s many fans coming back for more. Passatge Marimon, a tiny oasis of calm just off the traffic armageddon of Avinguda Diagonal, is becoming a beacon for discerning Barcelona diners. As well as the Michelin-starred Hisop, there is Xavier Pellicer’s superb latest venture, Céleri (expect a review here very soon). The third tempting choice within a few steps is Coure. Here, since 2005, a growing army of well-fed admirers have been baffled by Michelin’s repeated refusal to give chef Albert Ventura its blessing. The star may have gone shooting past but the customers kept coming back, and Coure now has a loyal local fanbase. Coure means both ‘to cook’ and ‘copper’ in Catalan and both are represented in the long bar that lies just within the restaurant’s doors. Gleaming red-metal curtains along the walls sway as busy after-work diners are served with superior tapas and snacks. Beyond them, stairs lead down to a stylish basement dining room built from textures and shades of grey and brown. I’m the son of a hi-fi fanatic and although I’ve moderated my own leanings in that direction I still appreciate a good sound system, so I was delighted to see some classic British kit (Harbeth and NAD, for those interested) delivering the background music. Prices, for the standard of food here, are a bargain: there’s a seasonal 4-course menu for €35 and an 8-course tasting menu (seen here) for €55. À la carte, most main courses are within coin-tossing distance of €20. There are usually 10 or 12 well-selected wines available by the glass. Tomato “salad” was a salmorejo-like purée featuring raw and pickled baby vegetables and some lip-smackingly fleshy and flavorsome tomatoes. Tender leeks and marinated bonito, mustard tofu, grapes and macademia nuts. Smoked sardines, figs and a silky smooth almond cream, with a hint of mint. Porcini mushroom and Parmesan carpaccio, drizzled with an eggy, peppery, citrusy dressing. A fillet of haddock (I think; it’s not a common fish around these parts though), with its jus and saffron mayo. Shoulder of baby lamb, cooked sous-vide to insane tenderness, with aubergine and a curry sauce. A comfort-food splodge of crema Catalana foam with crumble and apricot compote. Then rich and rewarding textures of chocolate. I’m not waxing lyrical over these dishes for the simple reason that I was distracted from note-taking by a good conversation. An Amercan couple on the table next to me, who were in town for a medical conference, spotted me scribbling and asked some questions. An hour later we were discussing the dishes, favourite restaurants, foodie movies and more. Great fun but not great for journalism, I admit. They were blown away by the food at Coure, by the way, and the restaurant had no problem at all adapting the menu to meet their dietary requirements. Coure is very popular among my circle of acquaintances, and for good reason. Albert Ventura’s signature cuisine takes creativity to the sweet spot of always being interesting but never being offputting. There are clever textural touches here and some interesting flavour combinations but it’s all accessible stuff. As you attack the dishes delivered to your table, you won’t care about the occasionally careless plating – probably the restaurant’s weakest element. The dining experience is an absolute pleasure, especially at this price point; sommelier-maitre Janina is overworked but well up to the task – trust her judgement and you’ll discover some unusual and enjoyable wines that won’t require you to remortgage your house. The bar upstairs is buzzing with cosmopolitan energy and the elegant, intimate dining room is a great spot to bring a special foodie friend. Coure isn’t exactly off the culinary radar – it has two suns in the Repsol guide and has been extensively blogged about – but it’s still less well known than it should be. Give it a try and join its fan club. 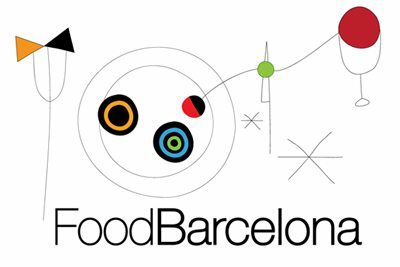 Find Coure on the FoodBarcelona restaurant map.